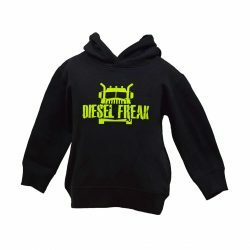 The front features our Diesel Jersey Girl design. 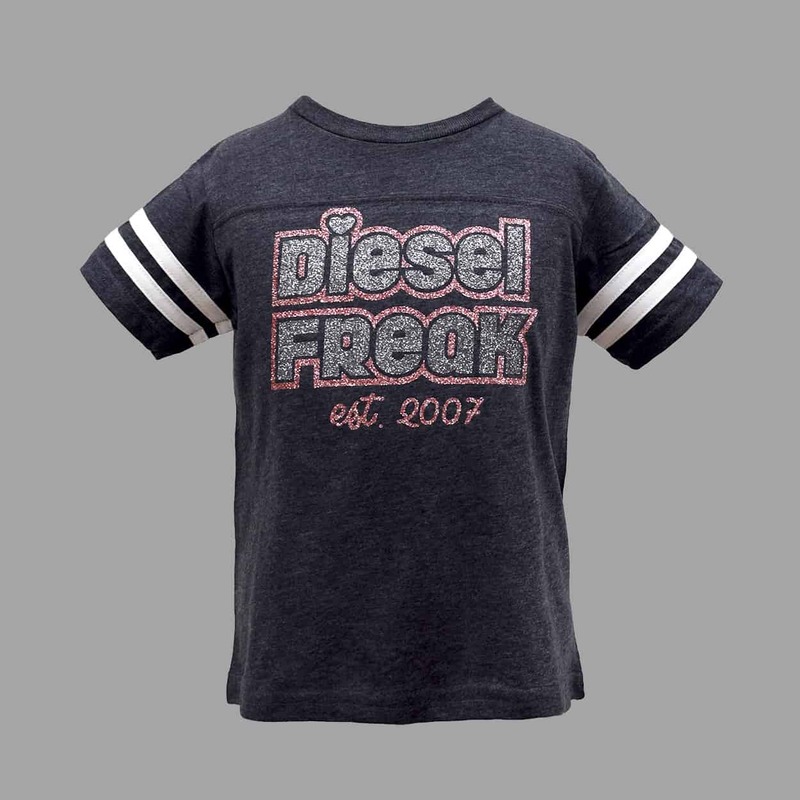 “Diesel Freak” is across the full chest in black silver glitter, with a spaced-out rose pink glitter outline and “est. 2007” in the same rose pink. 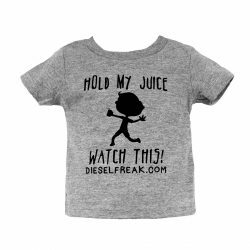 This design is also available in matching women, toddler, and infant sizes for a Mommy & Me set option! This design is also available in matching women, youth, and infant sizes for a Mommy & Me set option!